Sometimes, Prosecutors need witnesses to testify against defendants accused of crimes. Unfortunately, some defendants may be accused of trying to persuade witnesses to not testify; or to testify in a manner which acquits the defendant of any crimes. In response, savvy Prosecutors try to protect their witnesses and stack charges by filing Tampering With a Witness and/or Witness Intimidation charges. Both crimes are serious felonies which can undermine any defenses to underlying criminal charges. A person is guilty of Tampering with a Witness if they attempt to induce a witness or person whom is called as a witness in any official proceeding to (1) testify falsely or, without right or privilege to do so, to withhold any testimony; or (2) absent themselves from such proceedings. Each instance of an attempt to tamper with a witness constitutes a separate offense. Tampering with a Witness is a Class C felony punishable up to 5 years prison and a $10,000.00 fine. A person is guilty of intimidating a witness if a person, by use of a threat against a current or prospective witness, attempts to: (1) influence the testimony of that person; (2) induce that person to elude legal process summoning him or her to testify; or (3) induce that person to absent himself or herself from such proceedings. Intimidating a Witness is a Class B Felony punishable up to 10 years prison and a $20,000.00 fine. Very often, these charges involve very little evidence. 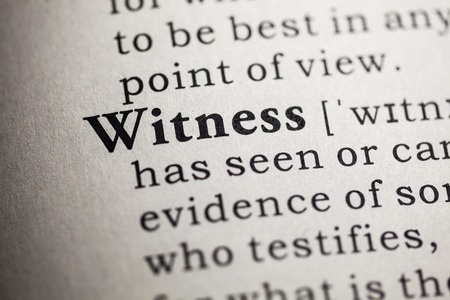 Also, witnesses testifying against the defendant may lack credibility due to personal biases; and/or the witness has something to gain from the defendant’s conviction. In short, these charges sometimes flounder into “He said / She said” arguments with little or no independent evidence to support them. Fortunately, Alexander has obtained Jury trial Acquittals for clients charged with Witness Tampering and Intimidating a Witness. His experienced and effective representation could do the same for you. If you or someone you care about faces Tampering With a Witness or Intimidating a Witness charges in Skagit County or Whatcom County, call attorney Alexander Ransom today for a free, no-pressure case evaluation. Alexander has a reputation in the legal community as an aggressive, effective and experienced criminal defense attorney. He is here to assist you through these difficult times.